It's that time of year again, which means it's time for another 4seating.com Thanksgiving movie list! 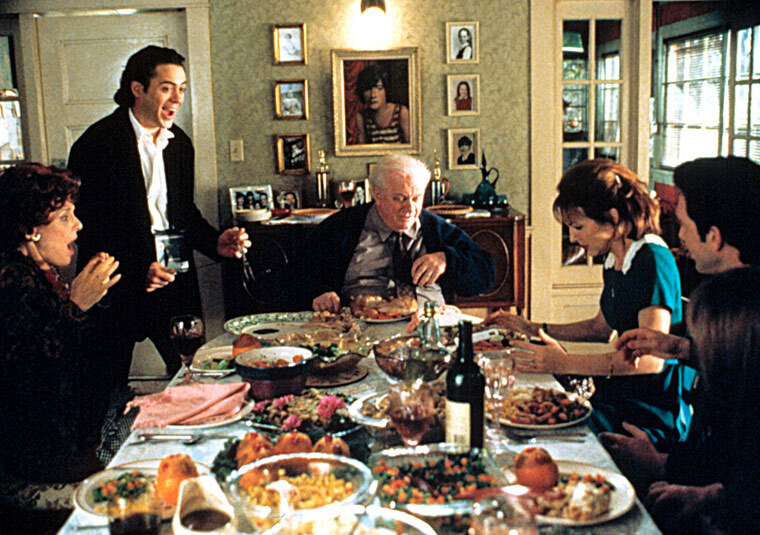 Last year, we presented a list of comedies to help lighten the mood with friends and family around the dinner table. This year, we look at the oft-overlooked Thanksgiving drama, where the potential for anger, hurt, and redemption when estranged family members are forced together for the holidays, leads to acting fireworks. These movies may be heavier, and not necessarily recommended for extended family viewing with children--but they resonate long after viewing and are great not just for Thanksgiving, but for any time of year. 1. 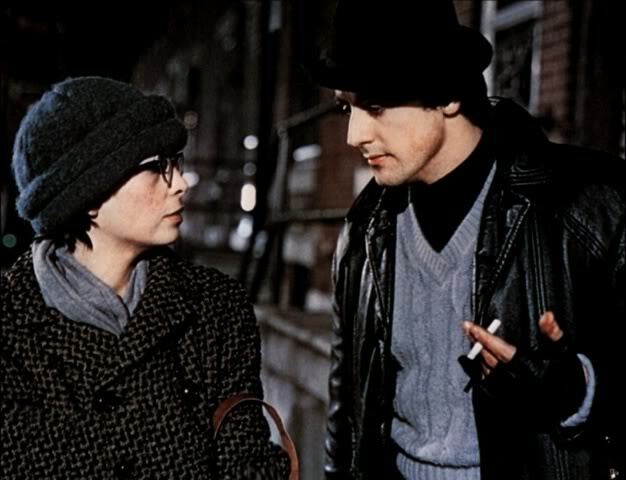 ROCKY (1976): With the release of Creed next week, the Rocky saga moves on to its next chapter--but it's the original Oscar-winning classic that has one of its pivotal scenes revolve around the Thanksgiving holiday. When Rocky's friend Paulie insists that his sister Adrian date Rocky by throwing her Thanksgiving turkey in the garbage, a legendary screen romance is born. The two go to an ice skating rink together and on that late November night, they bond in a way that will provide the emotional bedrock for all of the boxing drama to come. One wonders if the new film opening in a few days will also have a key Thanksgiving moment. 2. THE ICE STORM, 1997. Although it bombed at the box office on release, The Ice Storm has since been reappraised as an early indication of director Ang Lee's genius. A strong ensemble cast including Kevin Kline, Cristina Ricci, and Elijah Wood help portray two upper class families navigating the tumultuous social climate of the early 70s. There's liberal doses of drugs, sexual experimentation (including swapping of partners), and the aforementioned ice storm which brings with it nature's own commentary on the drama. This riveting film is one of the best Thanksgiving tales ever told; its intensity is a stark contrast to most holiday fare. Not suitable for young children, but adults may find it utterly engrossing. 3. THE WAR AT HOME, 1996. Emilio Estevez directed this film which also bombed on release, in spite of being praised in the years since as a tour-de-force for the underrated actor/director. 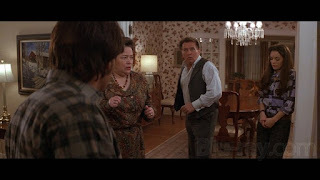 In it, he plays a returning Vietnam vet suffering from Post Traumatic Stress Disorder who decides to confront his father, who would not help him avoid the draft; he causes scene after scene at the Thanksgiving table until the whole thing boils over in a truly emotional climax. Martin Sheen, who plays the father (and is Estevez's father in real life), also gives a bravura performance. The chemistry between the two is palpable and one wonders why they did not star in more films together. 4. THE MYTH OF FINGERPRINTS, 1997. 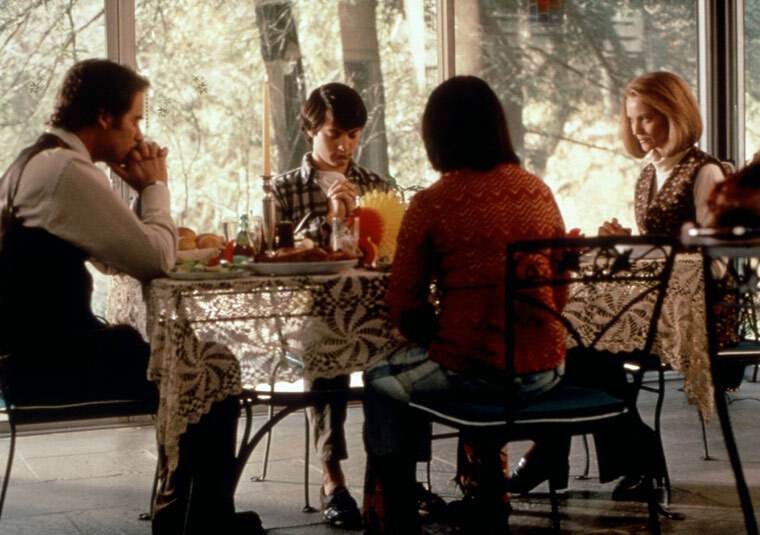 Yet another mid-90s Thanksgiving flop given a retrospective critical reappraisal, this film stars Julianne Moore and Roy Scheider as part of a family whose reuniting for the holiday sends them into a tailspin. A son who has been missing for three years shows up unexpectedly to the feast, as past childhood demons are dragged out of the closet and given an airing. It's a touching and sensitive film that is still waiting to be discovered by the public at large. 5. HOME FOR THE HOLIDAYS, 1995. 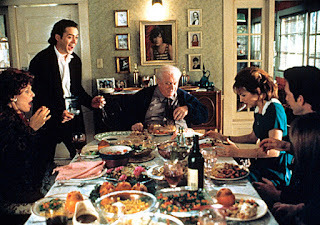 Holly Hunter, Robert Downey Jr., Anne Bancroft, and Claire Danes cause holiday ruckus when they reunite, with assorted family traumas leading to feigned enjoyment, argument, and reconciliation in the grand tradition of Thanksgiving dramas. This film, however, adds in a light dose of comedy to keep things from lapsing into melodrama, and as a mix of the two styles it's ideal for most audiences. As with the other films in this blog, it underwhelmed at the box office but is now included in most holiday compilation lists like this one. Some movies make a big splash on release, but are forgotten within a year; others like the ones here, are ignored and then rediscovered for the excellent films that they are. Do yourself a favor this Thanksgiving, and watch something daring and provocative, rather than the same repeat of Planes, Trains And Automobiles for the twentieth time. Or, just do both! Happy Thanksgiving from 4seating. Just remember to give thanks, and avoid doing any of the things you see happening in these movies! !